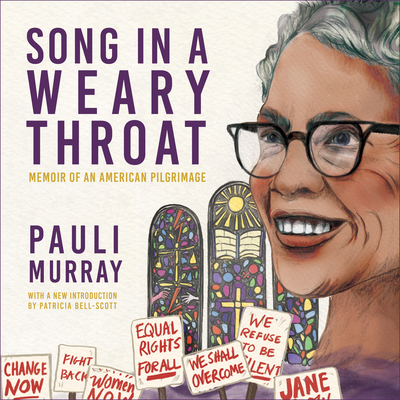 Poet, memoirist, labor organizer, and Episcopal priest, Pauli Murray helped transform the law of the land. Arrested in 1940 for sitting in the whites-only section of a Virginia bus, Murray propelled that life-defining event into a Howard law degree and a fight against "Jane Crow" sexism. Her legal brilliance was pivotal to the overturning of Plessy v. Ferguson, the success of Brown v. Board of Education, and the Supreme Court's recognition that the equal protection clause applies to women; it also connected her with such progressive leaders as Eleanor Roosevelt, Thurgood Marshall, Betty Friedan, and Ruth Bader Ginsberg. Now Murray is finally getting long-deserved recognition: the first African American woman to receive a doctorate of law at Yale, her name graces one of the university's new colleges. Handsomely republished with a new introduction, Murray's remarkable memoir takes its rightful place among the great civil rights autobiographies of the twentieth century.